Power over Ethernet (PoE) is a standard for powering devices over an ethernet cable. 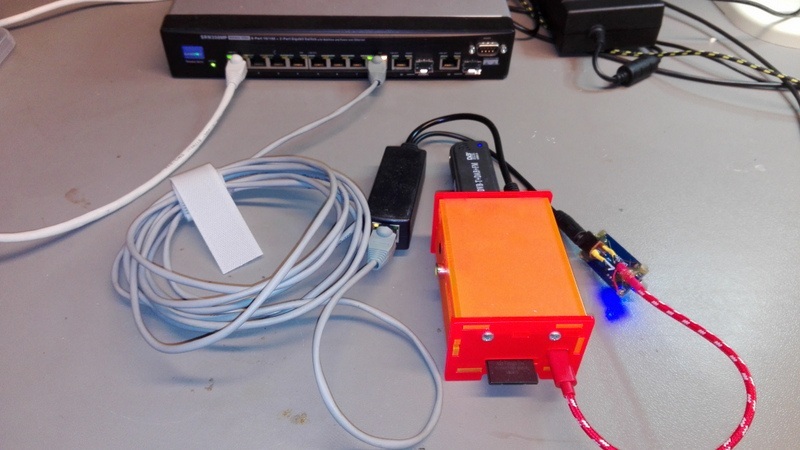 Aside from the IEEE 802.3af standard (description) there are other ways of powering devices over ethernet cables. 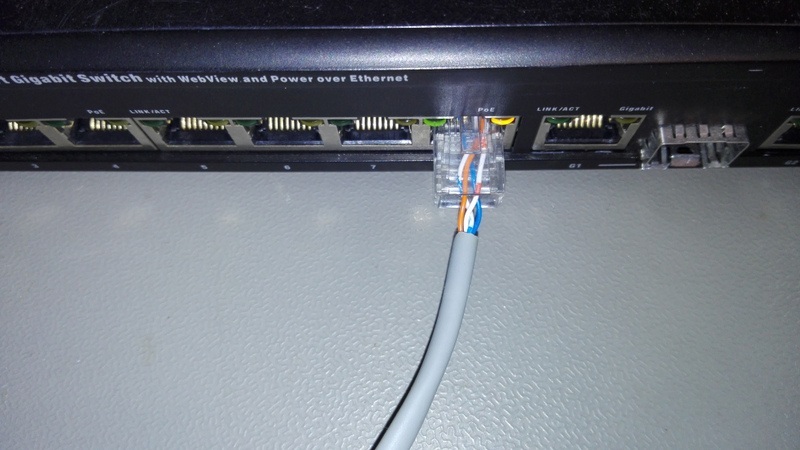 Shopping on internet shows two different PoE solutions, the cheap (and slightly sloppy and maybe dangerous) way is to use unused pairs in the Cat 5 cable and use a passive injector and splitter. 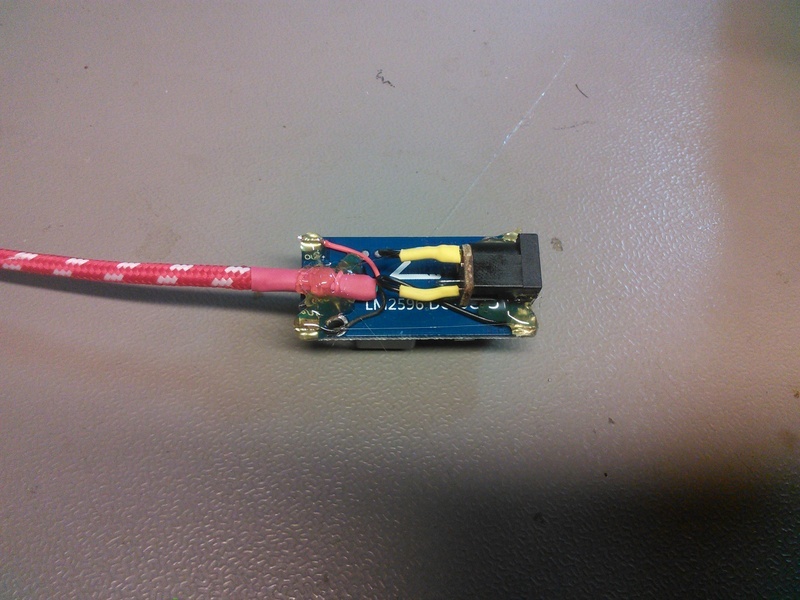 The problem with that solution is the dissipation and loss in the network cable at higher powers. The nicer and safer solution is the official IEEE 802.3af solution that I wanted, and I wanted this to work with thin 2-pair Cat 5 cable. Regular Cat5 cable has 4 pairs. I’ll only be using the IEEE 802.3af standard here. I bought a (second hand and very loud) Cisco Home Office PoE switch to try this all out. 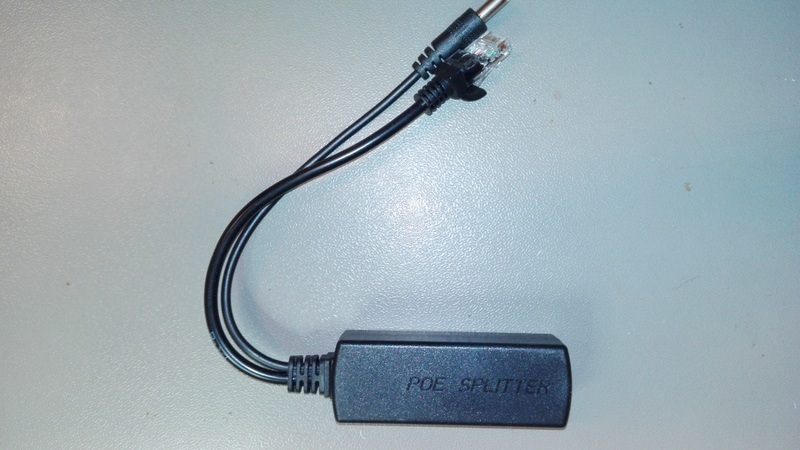 The PoE splitter was fairly cheap (about 7 euro) and there were some doubts if this was actually an active splitter. 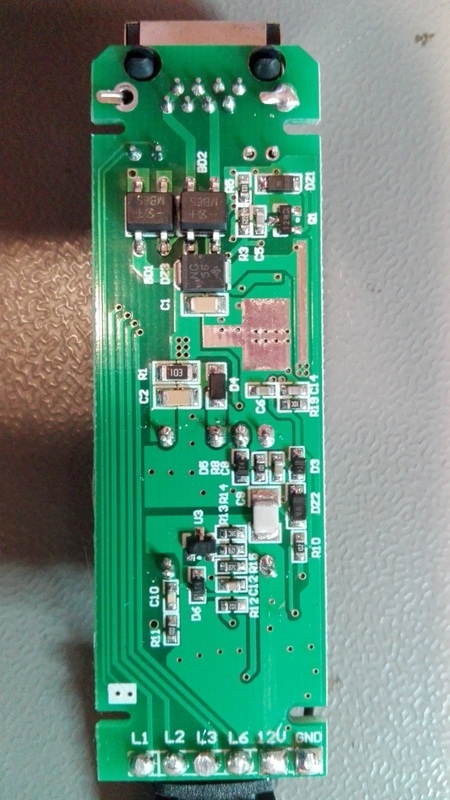 The sticker on the back states IEEE802.3af compatibility. 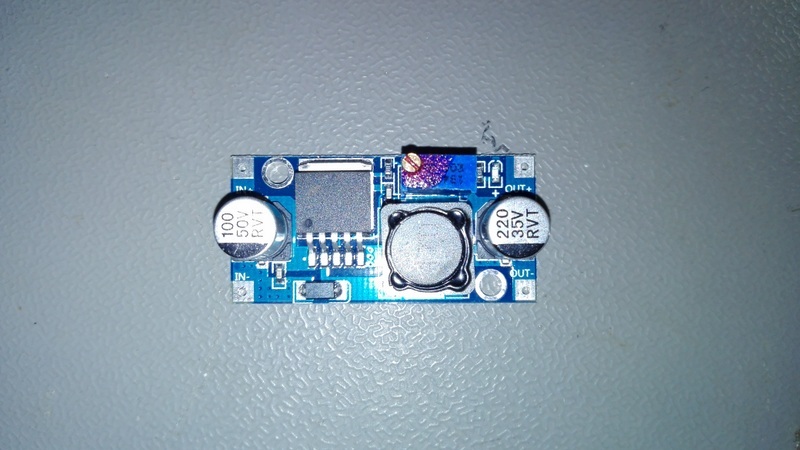 The insides seems legit,an actual PoE controller chip, isolating transformer and Ethernet transformer. 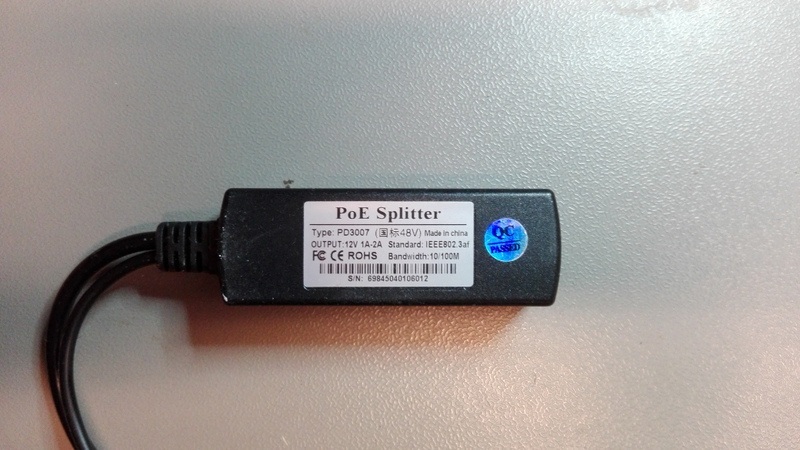 The parts used look like the application note with one difference : the application note describes a 10/100/100 MB/s solution with 4 wire pairs, this splitter only supports 2 pairs. The track clearance is not great though. And there is something going on with the connections between two cable pairs but this configuration seems to be used in other setups as well ( figure 4, figure 1.1 ). 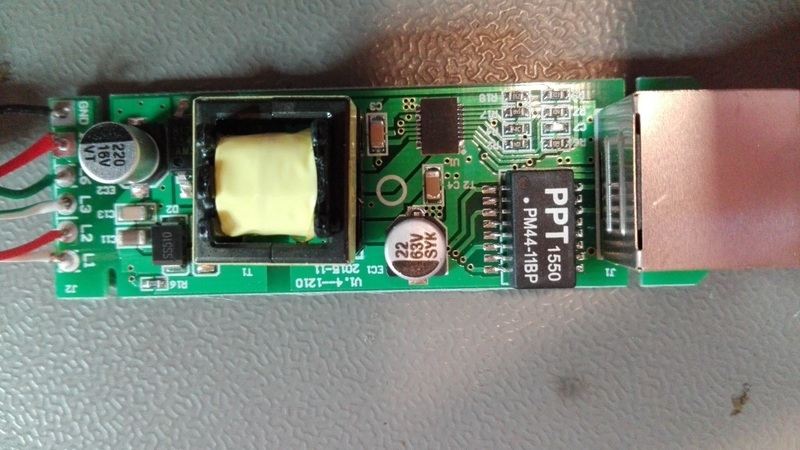 These PoE splitters deliver 12 V. The raspberry Pi needs 5 V on the micro USB port. 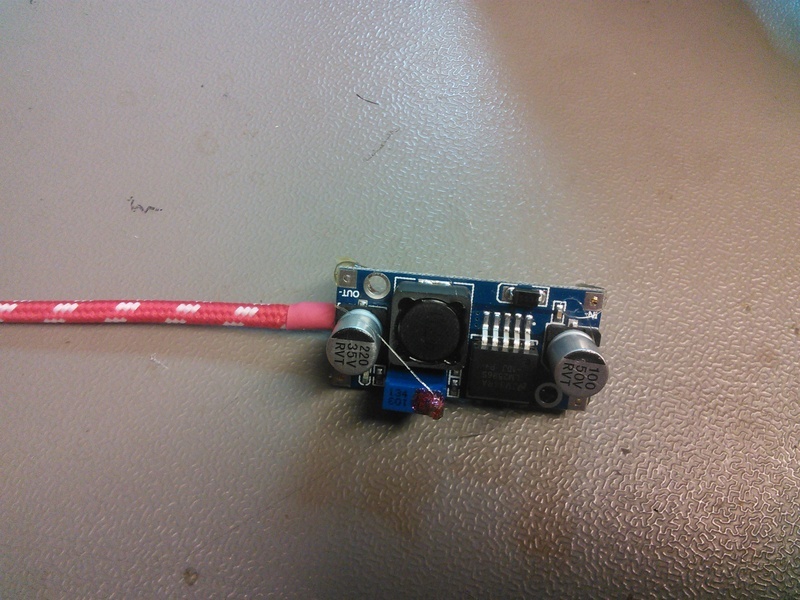 I’ll need to convert it to 5 V.
Success ! 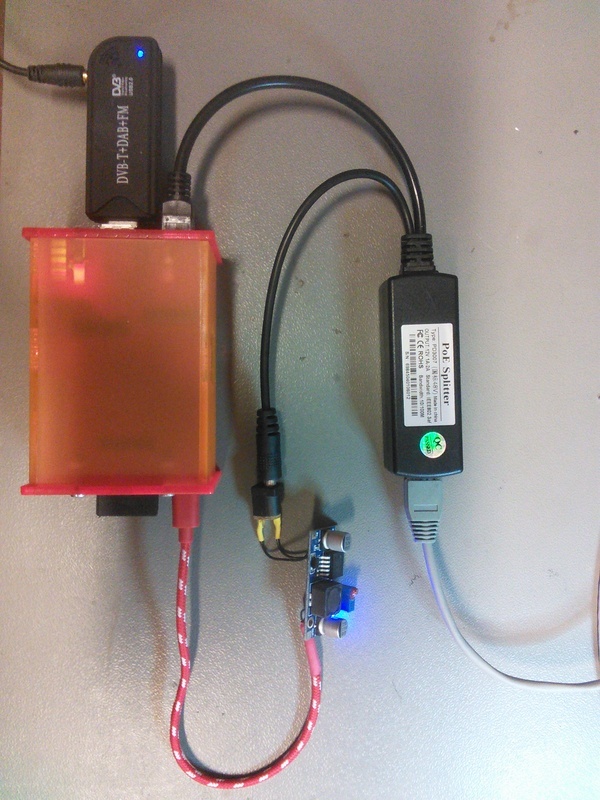 The setup works with RTL-SDR on a Raspberry Pi.